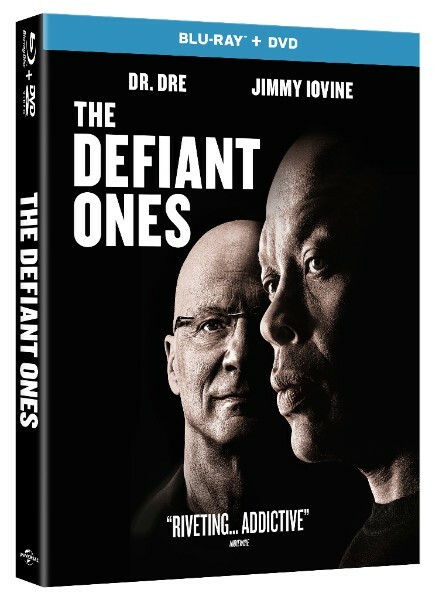 OVERVIEW: Bring home the highly anticipated four part documentary, The Defiant Ones, available on Digital on November 21, 2017 and on Blu-ray and DVD on November 28, 2017 from UPHE Content Group. Director Allen Hughes (Menace II Society, Dead Presidents) has made an unquestionably bold film about the unlikely but unbreakable bond of trust and friendship between Dr. Dre and Jimmy Iovine, two street-smart men from different worlds who have shaped many of the most exciting and extreme moments in recent pop culture. 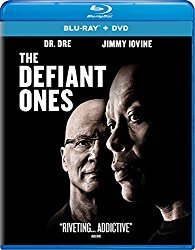 SYNOPSIS: Hughes filmed Jimmy Iovine and Dr. Dre with unfettered access over a three-year period in making The Defiant Ones. The series includes extensive interviews with Dre and Iovine, who speak frankly about their highs and lows as well as interviews with major music icons including: Snoop Dogg, Bruce Springsteen, Gwen Stefani, Bono, David Geffen, Eminem, Nas, Stevie Nicks, Kendrick Lamar, Ice Cube, Jon Landau, Patti Smith, Lady Gaga, Doug Morris, Tom Petty, Trent Reznor, Diddy, Alonzo Williams and will.i.am. The series also features never-before-seen footage from a multitude of recording and writing sessions with Eazy-E, JJ Fad, Stevie Nicks, N.W.A., Tom Petty, The D.O.C., Bruce Springsteen and U2, among others. BLU-RAY: The film is presented in widescreen in a 1.78:1 aspect ration preserving its theatrical format. The picture is just flawless. Not only the picture looks great in this release, also the sound it is good, a 5.1 Master Audio in English that provides a good complement to the picture. It also includes English, French and Spanish subtitles.